Ian grew up homeschooled, on the land, on a small, organic market garden farm near Lyndhurst. 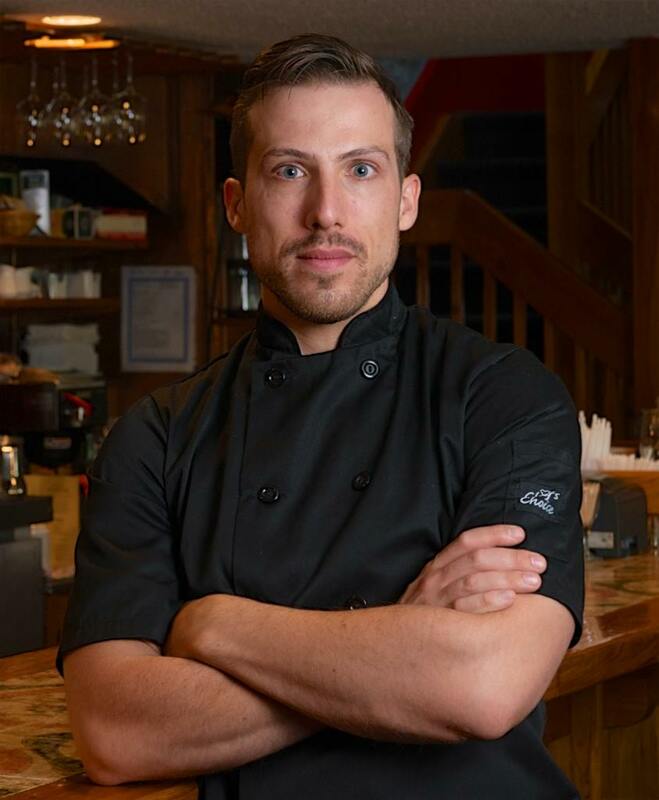 His mother, Janette Haase (author of From the Seed to Table, 2009) was a server at Chez Piggy and also supplied the restaurant with produce from their farm. As a toddler, Ian would help with the deliveries up the back stairs of Chez Piggy to the kitchen. The very same kitchen where he’s now in charge. Though he’s strayed from home to travel to far flung bits of the world, Chez Piggy has featured prominently in Ian Arthur’s life. Ian Arthur: In Spain. Some winters when my parents shut our family farm down, we went to Spain. My father was a great cook and I learned young about food – about the incredible importance of quality ingredients and simplicity. In Spain, we’d eat fresh rabbit and duck and local oranges plucked straight from the trees. I still remember those exquisite tastes. IA: My training probably began at a very young age, growing up with parents who were passionate about food. At university, I did a degree in International Development and worked part-time in a vegetarian co-operative café. When I graduated in 2008, I went to cook in Iceland for a year and learned to clean and cook fish properly. Unfortunately, while I was there, the Icelandic economy crashed and I lost everything. I had to come home and start again. Incredibly for me, I came back home to Chez Piggy. A full circle. IA: I like simple flavours. Not overly complicated food. I like to leave things alone – let them show off their own glory. I like seasonal foods. At the moment it’s ramps. I also love fish. But my style is very definitely influenced by my early days – the market garden and those winters spent in Spain. Unlike the French, who like fantastic but quite complicated food, the Spanish are the opposite: simplicity is paramount. LM: Is there a chef you admire or a food book that inspires you? IA: I think if I had to name a single chef, I’d say Dan Barber (Chef and co-owner of Blue Hill in Manhattan and Blue Hill at Stone Barns, in Tarrytown, NY). He’s at the forefront of a whole new movement that blurs the lines between dining, education, and farming. His book, The Third Plate, is the best food book ever written. I’m also an admirer of Gabrielle Hamilton, chef and owner of Prune Restaurant and author of Blood, Bones, and Butter. IA: I think the greatest misconception is that there is nothing novel happening in Canadian cooking. That’s not true. There are some fantastic changes afoot. Like Fogo Island Inn, perched at the edge of the earth off the remote Northeast Coast of Newfoundland, where diners sit looking out floor to ceiling plate glass windows to the iceberg-littered Atlantic Ocean, from where dinner has just been caught. 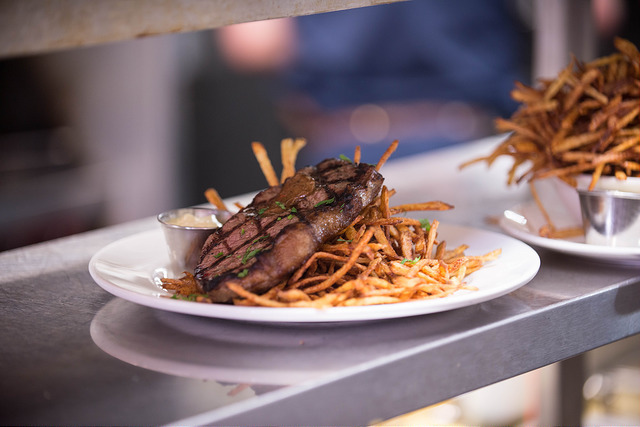 And then there’s Chef Michael Smith’s team in his Prince Edward Island restaurant, FireWorks, named for the 25-foot-long, brick-lined, open wood burning fireplace where everything is cooked and then served family-style at long tables. IA: This is a big question with a complex answer. I’d like to see a Canadian restaurant finally break the Top 100 Restaurants in the World list. Currently we have two honourable mentions but no Canadian restaurant has made the list recently. It’s not because of a lack of talent. 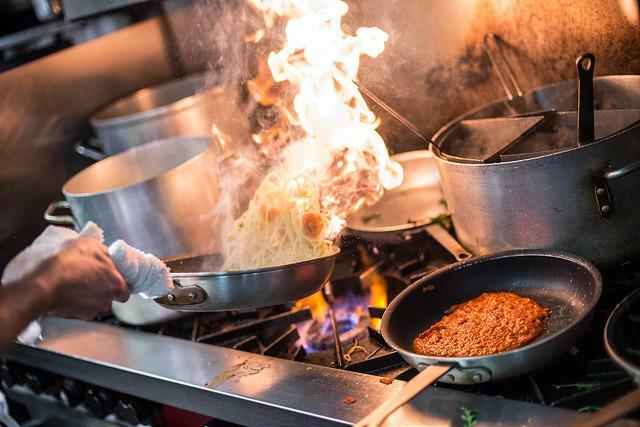 We have the talent and resources to cook better food than people are generally willing to buy. Compared to other countries around the globe, we spend considerably less of our income per capita on groceries and food. And unlike France, for example, where people seek the very best quality food that money can buy, Canadians are more reluctant to spend money on very high quality food. I think that is slowly beginning to change and palates are evolving. Just as an example, we try make 100 percent of everything from scratch at Chez Piggy EXCEPT things like ketchup. People want Heinz not homemade! I’m hopeful though, that things are shifting in new directions and we’re going to see a lot of change ahead in how much we care about quality food and cooking. I think we’re going to see growing support of Canadian food producers and Canadian cuisine. LM: When makes you happiest at work? 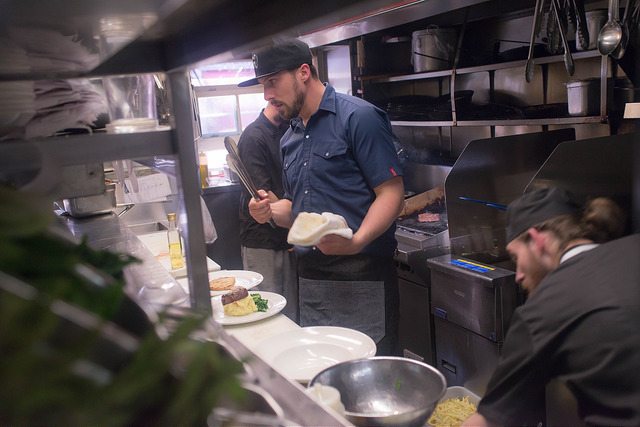 IA: Sous Chef, Matt Allen, is a great part of my happiness in the kitchen. He’s young and creative and fun to work with. But in general, I’m happy when the team is happy. IA: Halibut. A good burger. And on a hot summer night – oysters and wine. LM: If you could cook with anyone at all, who would you choose? IA: Chef Francis Mallman, of Patagonia, who does all these intense burnt flavours by cooking with fire and clay. Because of all the things I’d learn. IA: First up: family. Mother, brother, young cousin Derek. All my family. I like setting goals and working towards things and I’m incredibly pragmatic so I like fixing up houses and of course, making food. Also, playing hockey. But ultimately, I’d like to do practical things on a bigger scale so I’m running for the NDP nomination for Kingston and the Islands because I care deeply about this community and worry about our future. LM: Who are a few of your favourite local suppliers?